LoRa ERS is a LoRaWAN™ room sensor for measuring indoor environment. The radio transmission is based on LoRaTM, a long range technology with a frequency of 868MHz or 915MHz. 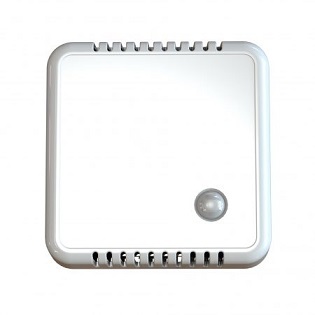 LoRa ERS is enclosed in an room sensor box and it is designed to be wall mounted. Inside the ERS you will find five internal sensors: temperature sensor, humidity sensor, light sensor, CO2 sensor(optional) and a motion sensor (PIR). All our sensors are built on the LoRaWAN™ stack from Semtech. Channel planes for US902-928, EU863-870, AS923, AU915-928, KR920-923.